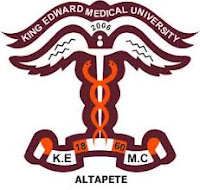 King Edward Medical University was established in 1860. It is one of the oldest medical institution in the South Asia, after Medical College Kolkata (1835) in India. Initially known as Lahore Medical College in 1886. Both the college and the attached hospital (Lahore Dispensary) were small compared to the current size.